Ms. Warner founded Chess Ag Full Harvest Partners in 2006. 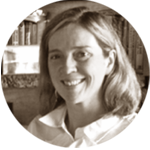 Ms. Warner has twenty-five years of experience in managing various forms of financial assets. From 2002 through 2006 when she came to the US to build out Chess Ag, Shonda was the managing partner of London asset management firm, Chess Capital Partners. From 1998 through 2002 she was the co managing director, and part owner, of Montier Partners, a UK based fund of funds. While at Montier she concentrated primarily on the investment side of the business. Before joining Montier she was executive director at Bear Stearns where she helped set up the European equities proprietary trading desk. Prior to that Ms. Warner was an executive director at Goldman Sachs where she was a member of London’s equity derivatives and proprietary trading desks. Before moving to London Ms. Warner spent three years in Tokyo running Goldman’s proprietary warrant trading business. Ms. Warner began her career at Cargill in Kansas City and Minneapolis where she gained experience first trading grains, and then doing financial instruments arbitrage. Ms. Warner was born and raised farming in Nebraska and has worked in many facets of the agricultural industry over the years. Ms. Warner graduated from the University of Texas with a BS in Anthropology and Zoology in 1984.